Could There Be A Second Mattel Recall On The Way? Home » Could There Be A Second Mattel Recall On The Way? 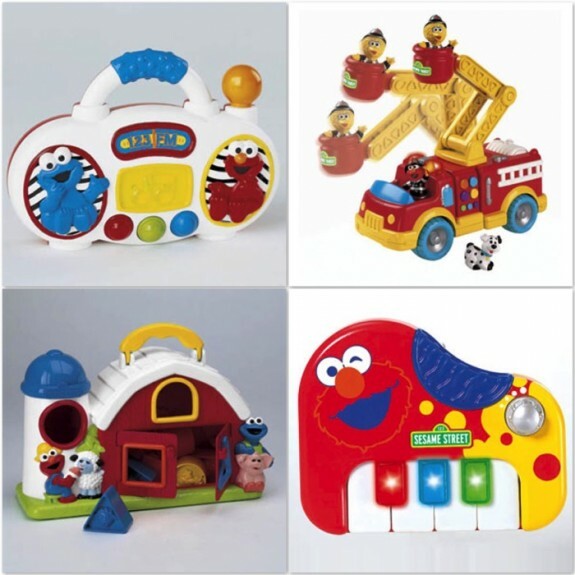 Two weeks ago Fisher Price/Mattel recalled almost 1 million Dora The Explorer, Diego and Sesame Street licenced toys due to surface paints on the toys possibly containing excessive levels of lead. Last night MSNBC reported that a second recall may be on the way as early a today. The expected announcement would mark the second recall involving lead paint by the world’s largest toy maker within two weeks. The latest recall, whose details could not be immediately learned, involves a different Chinese supplier, according to three people close to the matter who spoke on condition of anonymity because of the sensitivity of the situation. It follows a highly publicized worldwide recall, announced Aug. 1 by Mattel’s Fisher-Price division, of 1.5 million preschool toys featuring characters such as Dora the Explorer, Big Bird and Elmo. That action included 967,000 toys sold in the United States between May and August. One of the three people confirmed the latest case involves lead paint. Scott Wolfson, a spokesman for the Consumer Product Safety Commission, declined to comment. Mattel officials did not immediately return phone calls. On Aug. 2, Mattel, based in El Segundo, Calif., apologized to customers for the preschool toy recall and said the move would cut pretax operating income by $30 million. In that case, Fisher-Price “fast-tracked” the recall, which allowed the company to quarantine two-thirds of the tainted toys before they reached store shelves. In documents filed the next day with the Securities and Exchange Commission, Mattel noted that additional information became available in July on “other smaller product recalls and similar charges were recorded.” Those recalls involved design problems, according to company officials questioned last week. Days after the Fisher-Price recall, Chinese officials temporarily banned the toys’ manufacturer, Lee Der Industrial Co., from exporting products. A Lee Der co-owner, Cheung Shu-hung, committed suicide at a warehouse over the weekend, apparently by hanging himself, a state-run newspaper reported Monday. Lee Der was under pressure in a global controversy over the safety of Chinese made products, and it is common for disgraced officials to commit suicide in China. A new Mattel recall would mark the latest in a string of recalls that have rocked the toy industry just as it prepares for the critical holiday season. With more than 80 percent of toys sold worldwide made in China, toy sellers are nervous that shoppers will shy away from their products. I am not sure if parents realize how serious Lead Exposure is, even in small quantities. In humans, lead toxicity sometimes causes the formation of a bluish line along the gums, which is known as the “Burton’s line”, although this is very uncommon in young children. Blood film examination may reveal “basophilic stippling” of red blood cells, as well as the changes normally associated with iron deficiency anemia (microcytosis and hypochromia).